There are key moments in history when on the decisions and actions of men the course of human history is changed forever. November 27 1095 was such a day when the actions of the Pope on that day still reverberate down the centuries to us today. BY THE AUTUMN of 1095, Urban II had been on the papal throne for more than seven years. Born in France and now around 60, he was determined to reassert the power of the papacy after years of struggle against the Holy Roman empire. Inconveniently for Urban, Rome itself had fallen under imperial control, even boasting a rival pope who called himself Clement III. Not surprisingly, therefore, Urban spent much of his time on the road. In the summer of 1095 he had begun a massive tour of France, the first papal visit for almost 50 years. 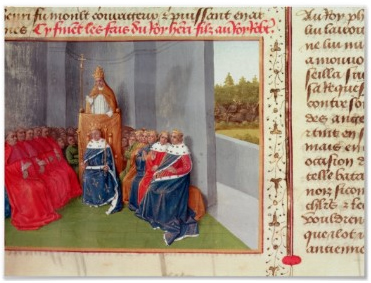 Everywhere he went – Avignon, Lyon, Cluny, Poitiers, Toulouse, Montpellier – his supporters organised spectacular ceremonies, at which the pope was the main attraction. Now, on 27 November, Urban’s itinerary took him to the town of Clermont, deep in the heart of the Auvergne. This was to be the climax of his tour, and his aides had invited 13 archbishops, 82 bishops and a vast throng of abbots and clerics. What Urban said that day would change history, but only one eyewitness account survives, written by the chronicler Fulcher of Chartres. At first, Fulcher wrote, the pope lectured his audience about the “great disorder” across much of Europe. “all people of whatever rank, foot-soldiers and knights, poor and rich, to carry aid promptly to those Christians and to destroy that vile race from the lands of our friends”. Urban’s address at the Council of Clermont, the moment that triggered the First Crusade, has gone down as perhaps the most influential speech in history. Yet the nuances of this extraordinary historical moment remain shrouded in mystery,and even Fulcher’s account of Urban’s words – one of six versions written by various chroniclers, most much later – only tells part of the story. Urban had certainly planned his enterprise in advance, having discussed it with some of France’s most powerful magnates. Some historians think that he had sketched out most of the details before starting his tour, right down to the crusaders’ adoption of the sign of the cross. Even the crusaders’ famous catchphrase ‘Deus vult’ (‘God wills it’), supposedly chanted by the crowd at Clermont, may have been a later invention, adopted by the pope for propaganda purposes. However, most historians agree that Urban was taken aback by the outpouring of crusading enthusiasm. 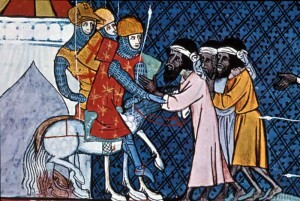 By 1096, four crusader armies in total at least 30,000 men, were on their way to Jerusalem. The Byzantine Emperor, Alexios Komnenos, was also taken aback by the fervour which people took up the cause. A few months earlier he had appealed for help, but probably never expected such a reaction. But while historians still argue about Urban’s motives, nobody doubts that the consequences were cataclysmic. 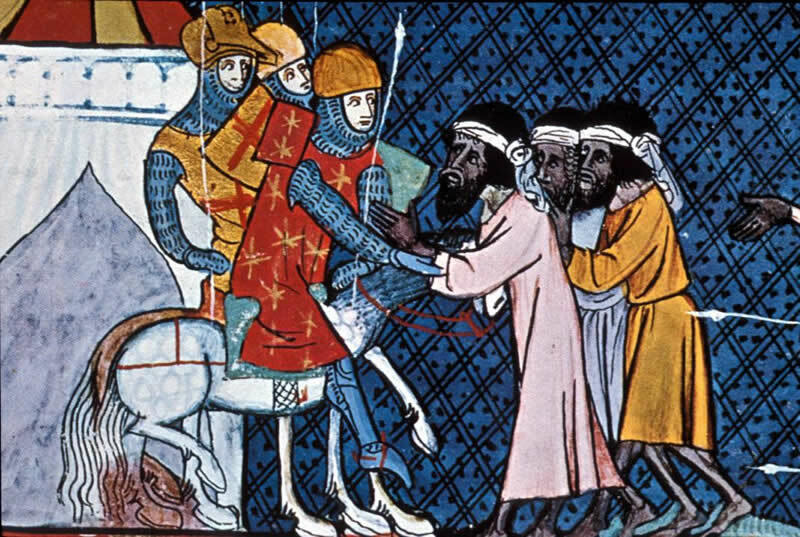 Within months, thousands had taken the cross, and by the summer of 1096 four crusader armies, amounting to at least 30,000 men, were on their way to Jerusalem. En route, they massacred Jews in Germany, looted and pillaged in Hungary and found a chilly reception in the Byzantine capital, Constantinople. But on 15 July 1099, the pope’s mission was accomplished in a way he had probably never imagined, the crusader army smashing its way into the holy city. Exactly two weeks later, Urban II died in Italy. However he had not yet heard the news.